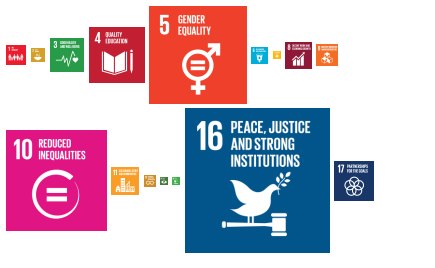 One thing that has become increasingly clear following the adoption of the Sustainable Development Goals (SDGs) is the level of intersectionality between each of the 17 goals and the core human rights standards embedded within. Therefore, monitoring each country’s progress towards achieving each goal is imperative to local, regional, and international stakeholders in both the private and public sector. For example, women in rural Africa walk an average of 10 miles for water every day. Often this is a task carried out by girls or younger women, and affects everything from their education and physical development to their chances of facing a sexual assault. Improving access to running water therefore would impact goals 3 (Good Health), 4 (Quality Education), 5 (Gender Equality), and 6 (Clean Water & Sanitation) immediately, and it is easy to extrapolate that goals 1 (No Poverty), 2 (Zero Hunger), 8 (Decent Work), 10 (Reduced Inequalities), and 11 (Sustainable Cities & Communities) would eventually be positively affected. Looking at the SDGs through a human rights lens is extremely valuable in improving monitoring, participation from a broader coalition of stakeholders, transparency, and implementation. While the conversation on designing an appropriate mechanism for monitoring implementation of the SDGs is ramping up, we have a rich set of data already at our disposal that allows us to monitor human rights concerns and violations across the globe. ICAAD has been working to develop a system to better track and inform progress on the SDGs using country recommendations from the Universal Periodic Review (UPR). UPR recommendations cover the gamut of human rights issues and all 193 UN member states have participated in the UPR for two cycles of review, resulting in close to 50,000 recommendations. In partnership with a DataCorp team from technology nonprofit DataKind, over the course of six months, we manually reviewed and processed over 2,000 UPR recommendations, created an algorithm to automatically correlate the remaining 50,000 recommendations with SDGs, and launched an alpha visualization of the information. 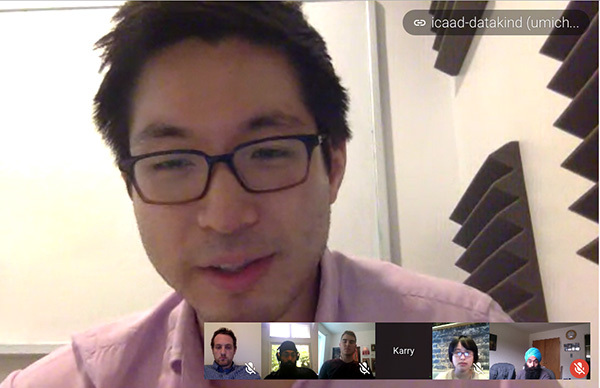 Closely working together to develop the dataset and refine the algorithm, members of the DataCorp team included Ben Cohen, Software Engineer at Warby Parker, Rebecca Wei, PhD Candidate at Northwestern University, and Karry Lu, Data Scientist at Plated, and the ICAAD team included Natalie Druce, Hansdeep Singh, Joe Wheeler, Jaspreet Singh, Terence Park, Jarl Soltoft, and Conan Hines. We are in the process of designing a user-friendly, interactive data visualization tool that demonstrates the relational overlap between sustainable development and human rights. The algorithm will continue to categorize UPR recommendations according to their corresponding SDGs over the lifespan of the goals (2015-2030). The hope is to use the data provided by the UPR to better guide tailoring of implementation of efforts according to national human rights concerns.